I love a wonderful London Broil, marinated, perfectly grilled and sliced thinly. 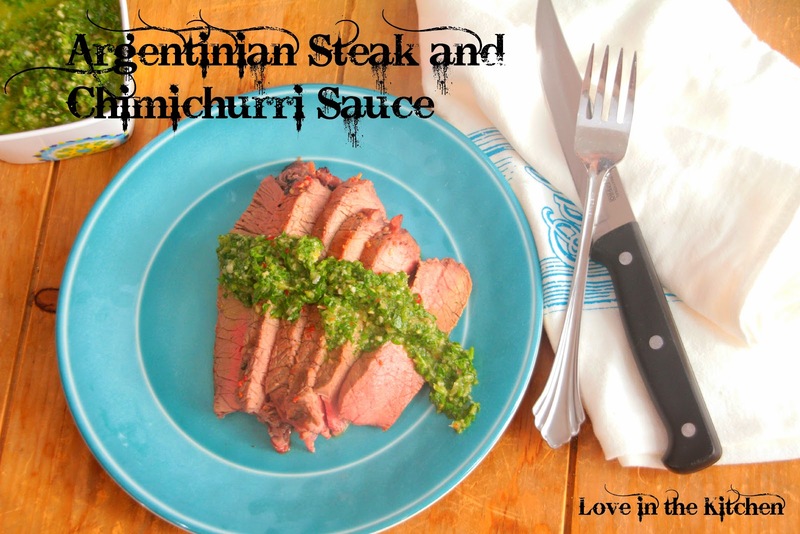 This version is based on Argentinian Steak House steaks and is served with my version of chimichurri sauce. 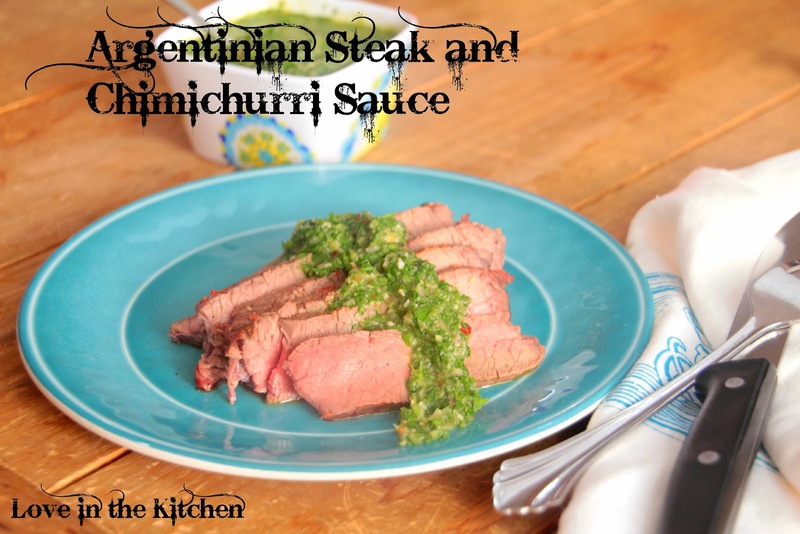 Chimichurri sauce originated in Argentina, and there are probably as many variations on the recipe as there are Argentinians. Many are bright green, some are brown, and there are even red versions. But the star of all of these remains parsley and garlic. Texture is also critical for a true chimichurri sauce - this is not a puree. Some people won't use a food processor to make sure they maintain the texture. I like a bit of heat, as I may have mentioned, so I added a jalapneo to mine. Not traditional. I also don't have the time to chop everything. OK, perhaps it is the patience that I lack... At any rate, I did use my food processor. This is a fantastic sauce. Make a double batch so that you can use it on just about everything. I made a fritatta with the leftover steak, and this sauce was amazing over it. Everyone has their own taste for this sauce. I like a realy bright, fresh green sauce, so I don't let it keep for a couple of weeks. But it does keep in the refrigerator for that long and longer, and the flavor just deepens. 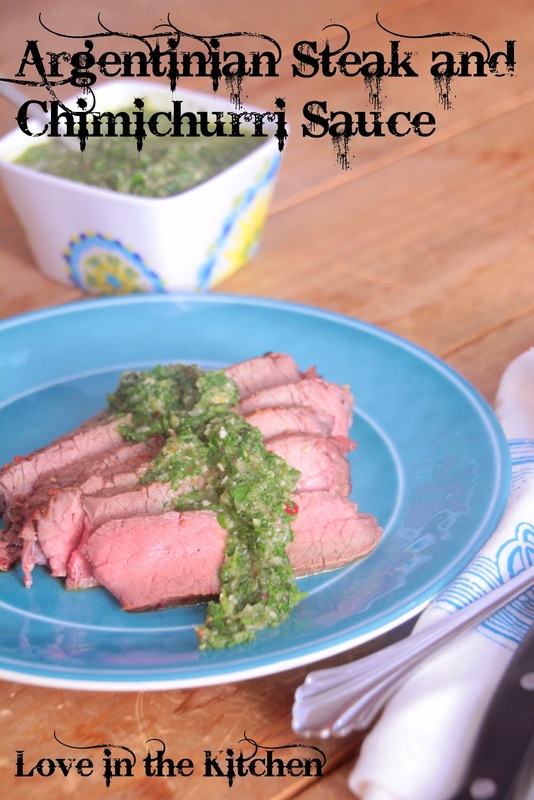 Remember, flavor and texture are what makes chimichurri what it is: a tangy, salty, pungent, slightly spicy and oily delight! Mix all ingredients for the steak in a glass baking pan and cover with plastic wrap. Marinate steak in the refrigerator for at least 20 minutes or as long as twenty four hours. Place the steak directly over a hot grill, until the meat reaches the desired degree of doneness. Remove the steak from the grill, cover with aluminum foil and let rest for 10 minutes. Slice thinly against the grain. 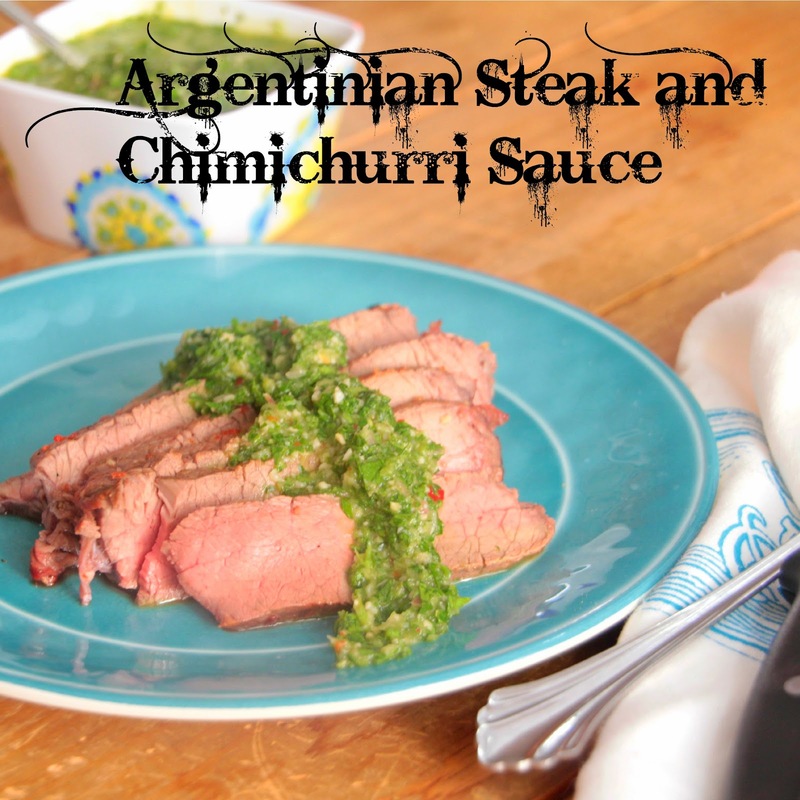 I've never made chimichurri and it seems so difficult watching it on tv shows. This recipe is super simple. Thanks for sharing. Pinning!